Our institute consists of research buildings and animal management area. In research buildings, there are Main research building, Research building annex, Chemical analysis building, Biotechnological research building and Experiment building. They include Offices, General labs, Testing labs for SPF animal, BSL2 labs, and Animal rooms to keep aquatic organism and avian for environmental effects testing. 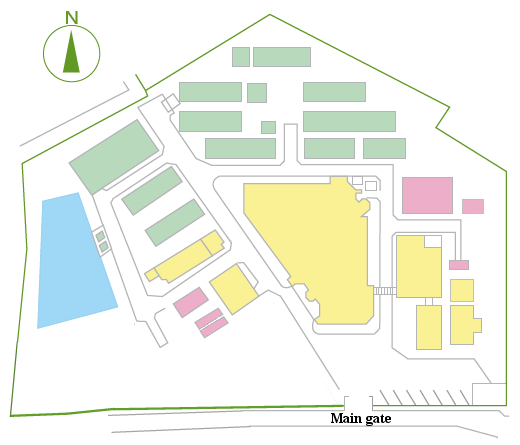 The animal management area have various animal barns (e.g. cattle, swine, dog) and have testing area for honeybee.